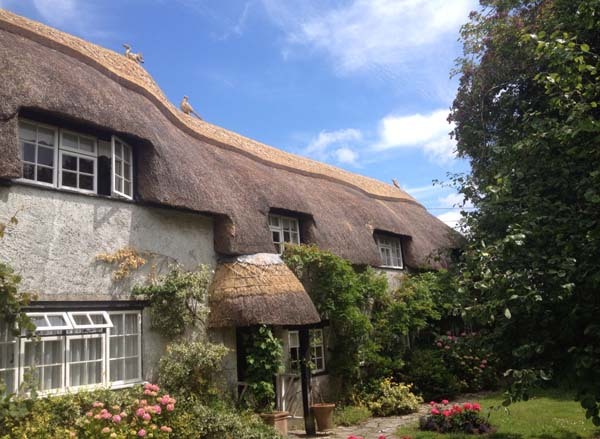 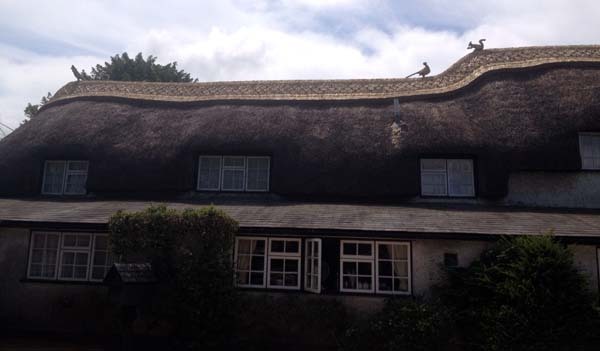 KH Thatching completed a block ridge in Wheat Reed on this cottage in New Milton. 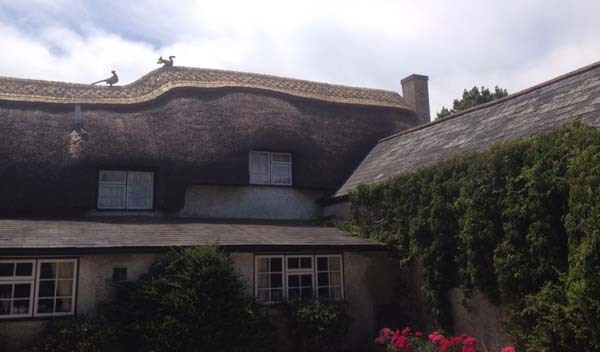 The ridge has been finished with a straight cut with decorative scallops on the hip end. 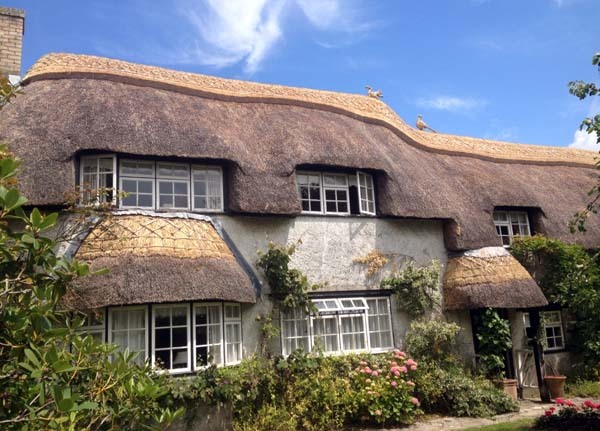 The ridge to the porch and bay window have been replaced and three straw animals have been added to great effect.